I had to have Dark Souls on the PlayStation 3 instead of Xbox 360 because of the free multiplayer. (I gave up on Xbox Live Gold due to over a year of not using it.) This is surprising considering that there is little direct playing together with other people going on. I’ve played for over 30 hours and had one invasion where another player enters your game with intent to kill. Aside from that, I’ve had other people helping out with boss encounters a couple of times. Dark Souls is an oppressive game, but don’t believe the marketing: it’s not as difficult to approach as Demon’s Souls. Part of it is due to the world structure. It is a big open world without loading, and from the beginning, you can go in so many places. Many of them are insurmountable until you’ve gained a lot more experience. As you find how places relate to each other and find shortcuts, you gain a mastery over the virtual world that you never reached in the previous game. It feels like drawing back curtains to reveal new sets. 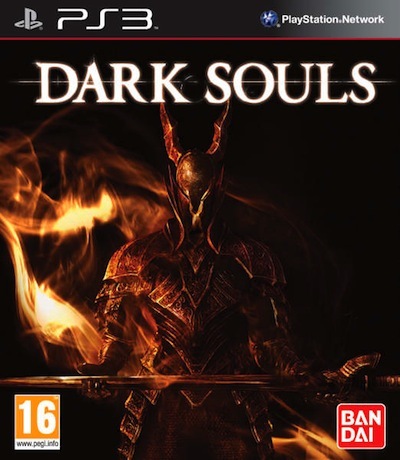 The other thing is that the game is just not as difficult as Demon’s Souls. The checkpoint system (bonfires) give you a fair bit of freedom to control what happens when you die. The health system with the health potions which refill automatically upon death makes things a lot less grind-y. Still, the atmosphere is one of being alone against a very hostile world and its hellish denizes. Even if you’re not playing with the other people all that much – aside from being invaded sometimes and summoning help with the bosses at times – you really appreciate the knowledge of being connected, sometimes seeing ghosts of other players resting at the same bonfires you are. The otherworldly messages can be very helpful, too. It’s dangerous to go alone. I would have perhaps expected From to make playing together between friends easier in the sequel. No such development is evident and although I sympathize with the internet crowd’s frustration over this, I get it: being able to effectively co-op would destroy the game’s mood. 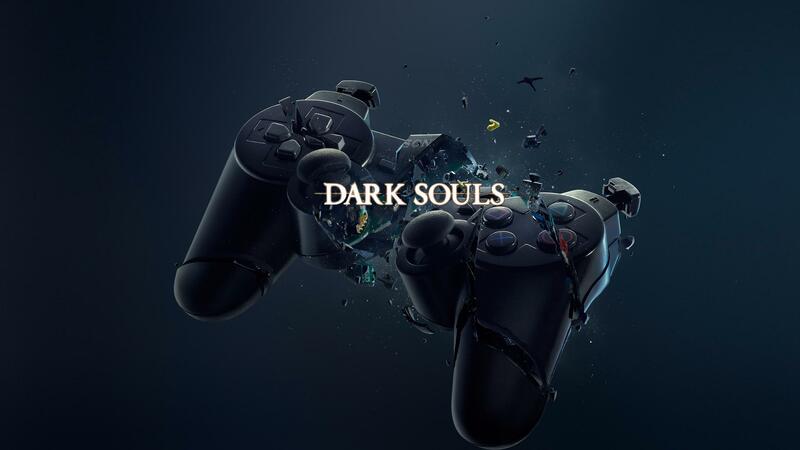 But the reason Dark Souls is the most social game in years for me is that its lack of hand-holding and instructions, even with key game mechanics, forces you to talk to other players. You go on the forums and you talk to your colleagues, figuring out how to proceed, because you don’t really have an alternative. Conquering this game alone, back before the internet, would’ve been a Herculean task. I don’t feel like I’m cheating when I go on a Dark Souls wiki – to me it feels like the way the game was meant to be played. It’s a gauntlet thrown down (lovingly) by From, and we take it up as a community.